Hey, how about a look into two things I haven’t looked at in a long time? It’s been over a year since I reviewed anything Ultraman related (the end of Ultra-Act and subsequent transition into Figuarts has been a rather major contributor to that), and three whole years since I’ve reviewed any model kits, but now I’m just throwing caution to the wind and looking at an Ultraman model. I know, crazy stuff for me, right? Just stepping way outside my comfort zone for this? 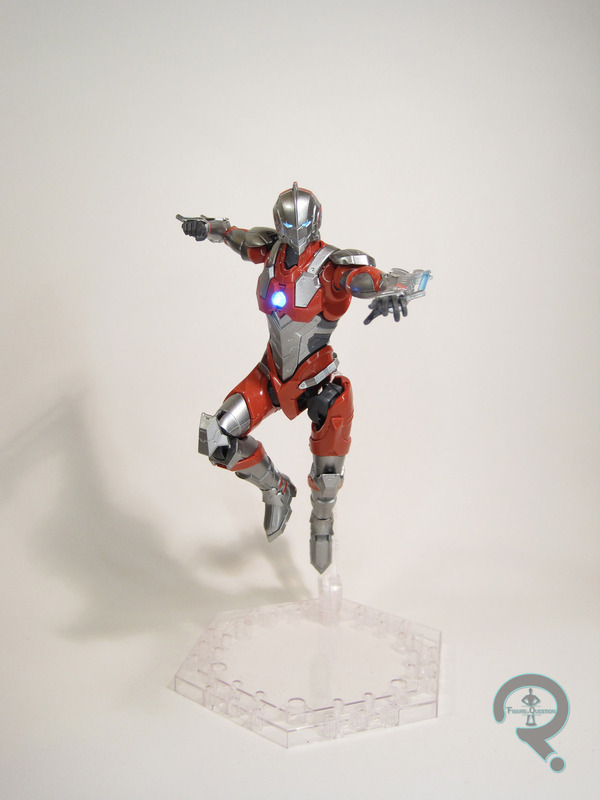 Ultraman (B Type) is the first in Bandai’s newly launched line of Ultraman-themed Figure-Rise kits. They’ve previously offered kits for Dragon Ball Z and Kamen Rider, and it’s not a huge shock to see them move onto another immensely popular license. So far, it appears this line will be taking its cues from the currently running Ultraman manga, which sequelizes the original show, while working in elements of its successors in a new timeline. 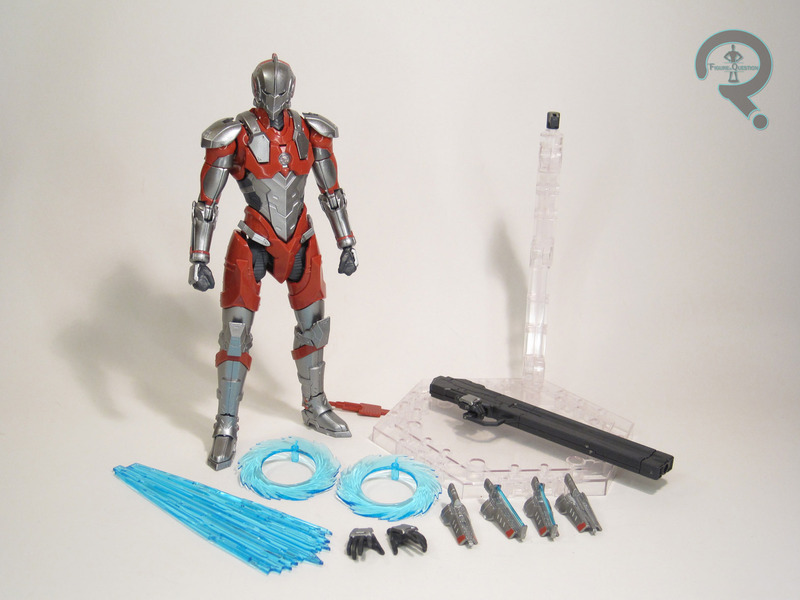 This figure is the main Ultraman from the series, Shinjiro Hayata, son of the original Ultraman, wearing his second set of powered armor (as noted by the “B Type” at the end of the name). The kit is billed as 1/12 scale, so the final figure stands a little over 6 inches tall, meaning he scales pretty decently with the Figuarts stuff. He’s got 31 points of articulation, so he’s not quite on the same posability level as most of those figures, but he’s not terribly far off either. 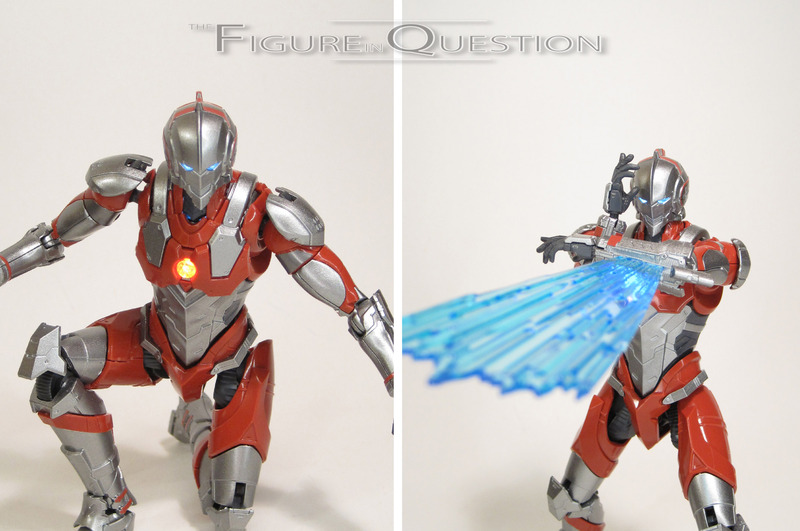 Of all the models I’ve built, Ultraman is definitely the most intense. As in “took multiple sessions to complete him” intense. He’s made up of a lot of small, little pieces, that all click together very carefully. While this may be a little stressful on the assembly side, it pays off on the appearance front. This is definitely a sharp looking figures. Details are well-defined, and he’s a good match for the source material’s very machined appearance. If I have one complaint, it’s that the figure’s not quite as sturdy as I might have liked. I’ve had no breakage issues, of course, but the torso assembly pops apart with regular handling (mostly by design, to be fair). He’s more a pose and set figure than a mess around with him figure. Paint’s a no-go on these sorts of sets, so there are a few different ways to handle variations of color. For the most part, this guy goes with the “mold it in the right color” method, meaning there’s a lot of very precise part assembly. However, there are also some pretty extensive decal applications mixed in with that. Again, they can get a little stressful, but the end result pays off, and you’d be hard pressed to discern these decals from actual paintwork. Of course, time will tell as to their longterm hold-up. 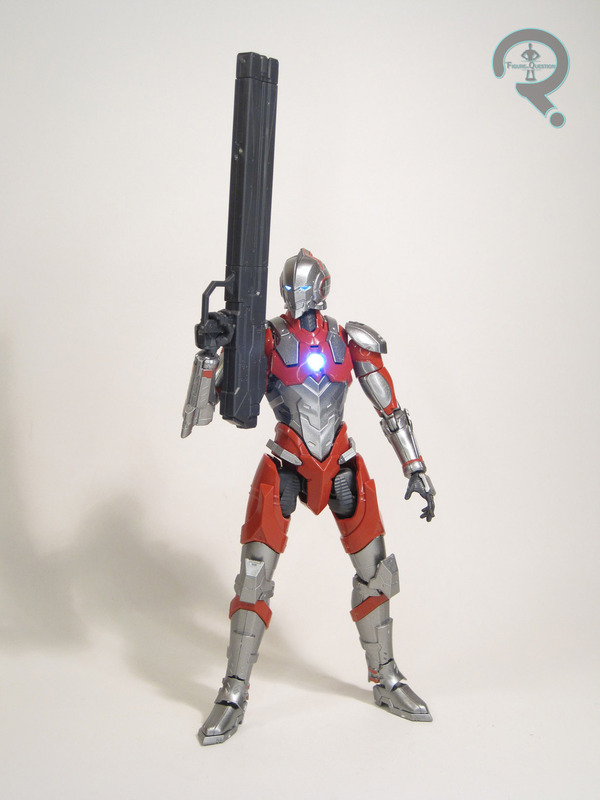 Ultraman is pretty well accessorized for a thing I built myself. He’s got five interchangeable hands (fists, open, and a trigger finger for his right side), a Specium Ray effect, two Specium Slash effects, alternate forearm guards for use with the Specium Ray, alternate guards with Specium Blades deployed, the MARS-133 rifle, and a display stand. Pretty much, he’s on par with a Figuarts or Ultra-Act release. He has one more feature: he lights up. There’s a battery pack with LEDs attached that’s installed in the torso (hence how easily it comes back apart). Using the included tool, you can turn it on and off. It illuminates his eyes and color timer, and with a push of the button you can even switch the color timer from blue to red, which is fun. Is it allowed to be Max’s fault two days in a row? This one’s a borderline example at the very least. He wanted one of his own, and they come in cases of two, so he needed another buyer. Well, hey, I like Ultraman, right? Admittedly, I was looking to get back into the model building anyway, and I didn’t yet have a Manga-style Ultraman, so why not give it a try? He’s an intense build, but I do really enjoy the final product, and I think he’ll slot in pretty well with the rest of my Ultras. I picked up this set via All Time Toys. If you’re looking for toys both old and new, please check out their website and their eBay storefront.